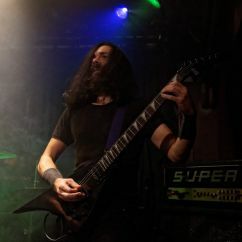 Angelos Tzanis has been involved in rock/metal bands since his first contact with "good music" as he likes to call it. He has taken part in various projects, from his thrash metal early days, classic rock and through the whole spectre of hard music leading to the path of doom which has always been a key point in his agenda. He believes music should be taken to the stage. 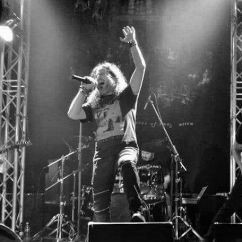 Michael Stavrakakis has been the lead singer for numerous rock, funk and heavy metal bands in Greece, and has participated in various recordings and numerous live performances, for more than a decade. He has been trained in Classical and Byzantine music. He was the lead singer of the rock/metal band Master Reset from 2007-2011, with whom he recorded the album "Nutshell Republic". Although Harry Dokos has been playing music for quite some time this is the first band in which he started to present his own music. With a musical background deeply rooted in 80's metal, his influences are clearly evident in his work. Manolis' primarily reason for his involvement with music has always been to compose. 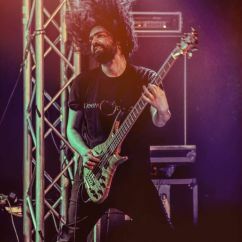 He picked up the bass in his early teens and since then the only time he let it was to take vocal duties for the death metal band "Elanor". He is member of the rock cover band "Devils and Angels" with frequent live performances in the local area. 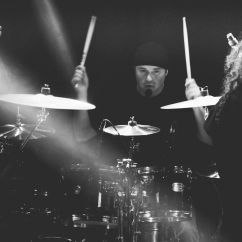 Minas Vasilakis has been playing the drums for two decades now participating in numerous bands nearly for every kind of music but mostly in metal and rock. Full length albums, live performances, TV shows, tours and bonus tracks for 666Packs, Marauder, ESELON, etc. He has studied at the Philharmonic Orchestra of Heraklion Greece and at the Modern Music School Athens. After many conversations with European studios and sound engineers, Doomocracy came to the decision to work with Daniel Bergstrand at "Dug Out Productions" in Uppsala Sweden, for the mixing of "The End is Written". The mixing process was complete on the 15th of October 2013, giving Doomocracy that raw, powerful and heavy sound they were looking for. Tailor Maid music production and Peter In De Betou was Doomocracy's 1st choice for the Mastering of "The End is Written". Peter did a fantastic job, giving Doomocracy's debut album, a production worthy of the effort and passion the band has given to produce this album. 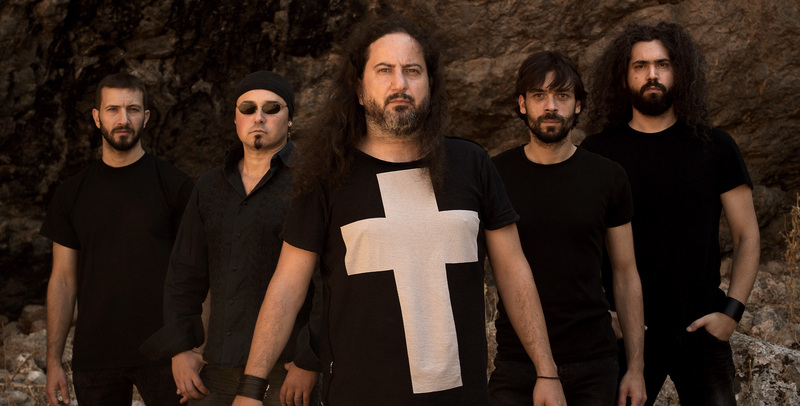 On the 21st of July 2014, Doomocracy signed a record deal, with the renowned Greek heavy metal label Steel Gallery Records. The release date of "The End is Written" was the 29th of September 2014. 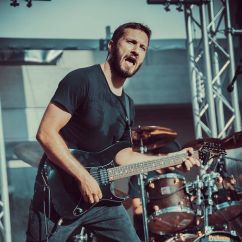 After a successful collaboration for their debut album “The End Is Written”, Doomocracy once again partnered up with Steel Gallery/Arkeyn Steel, for the release of their second album “Visions and Creatures of Imagination”. “Visions and Creatures of Imagination” features former Memento Mori keyboardist and classical composer, Miguel Robaina on four songs. The drums were recorded in Devasoundz Studios in Athens Greece, with Fotis Benardo. All other instruments were recorded in Mad hat Music studio in Heraklion, Crete, Greece with the valuable help of Nikos Vogiatzakis. Doomocracy, collaborated with Jim Morris and “Morrisound Recording” (Iced Earth, Death, Crimson Glory), in Tampa Florida USA, for the Mix and Mastering of “Visions and Creatures of Imagination”. The release date was the 13th of March 2017.
and performed in various metal festival around Europe such as: Hammer of Doom, Malta Doom Metal, Up The Hammers, Chania Rock festival, Doom Over Scania and more.